- Register Motor Vehicles, Drivers Licenses, and Picture ID's Made. - Flexible Benefits, Health Plans, and Life Insurance. - Provides no or low cost health insurance for children and families. - Provides crisis management services, community mental health centers, acute care psychiatric units, and specialized inpatient services. 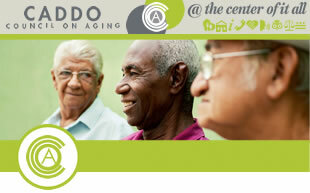 - Provides counseling and assistance to seniors who need health insurance information. - Enforces consumer laws in the state. - Discounted rates for Driver License Renewal. - No late fee for an expired license for age 70 and above. - State ID Card: Age 60 and above. - Provides information and assistance to individuals and corporations. exempt from state income tax. - Provides operating and capital assistance for general public assistance in non-urbanized areas. - Administers the Low Income Assistance Program (LIHEAP) and the Weatherization Assistance Program (WAP). - Eligibility is based on income. - Priority is given to households containing young children aged 6 and under, and elderly aged 65 and over. - Provides professional counseling services, nursing, and domiciliary care to all eligible veterans. private, that address the needs of specific disability populations. medication, transportation, family caregiver support services, employment services, and nursing homes. - Business numbers may not be included on the list. -Open to all persons seeking information. - Follow the website link to be taken to a complete directory of Louisiana State Government Toll Free Numbers. -These are attorneys who represent person/persons who are committed for mental health issues. population, both insured and uninsured (e.g., Medicaid, human services districts/authorities, etc.). - OAD Region VII provides services to prevent and reduce the severity of alcoholism, other drug dependencies, gambling and related problems. - Services include primary prevention, outpatient, inpatient, and residential treatment programs are customized to specific needs. other services for people with developmental disabilities. nutrition education, assisted transportation, and information & assistance. - All income must be verified. born healthy and can live and grow in an environment that promotes their continued health. - Counselors help seniors make informed decisions by providing free and unbiased guidance via telephone or face-to-face interactive sessions. - Check the status of your refund: WHERE'S MY REFUND? - The Louisiana Center for Records and Statistics consists of official records of birth, death, fetal death, and Orleans Parish marriage records. records are of great value to public health and other agencies. - Certified copies of records for: passports, school enrollment, employment, proof of citizenship, governmental benefits, and insurance.